Firstly, the physical phenomena and deformation mechanisms leading to fast sliding velocities will be explored. The mechanism of thermal pressurization of pore water in the sliding surface will be described and applied to simple but common sliding geometries. Criteria to decide if rapid motion is likely to occur in practice will be given. At the other extreme of landslide mobility, slow creeping motion is often found in natural and man-made environments. Relevant questions are what will be their evolution in time and what is the risk of sudden acceleration? These questions will be addressed for some sliding mechanisms. It will be shown that generalisation to arbitrary geometries can be achieved by means of a calculation procedure, the Material Point Method, which was formulated for a three-phase granular medium. This computational tool, in the domain of continuum mechanics, also provides an opportunity to examine the transition from static impending failure to subsequent dynamic motion. The material point formulation has been adapted to incorporate thermal water pressurization in shearing surfaces generated by strain localization. 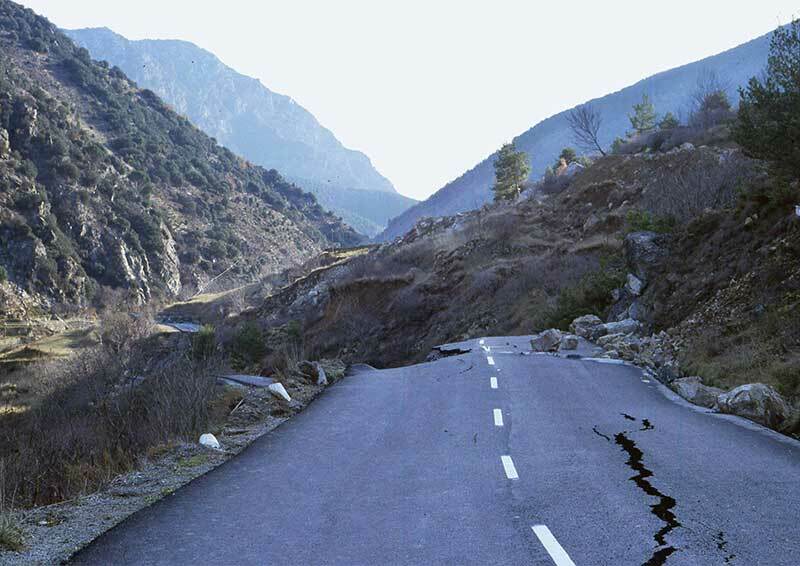 The implications of this phenomenon, which enhances landslide mobility, will be discussed. The final part of the Lecture describes rainfall-induced landslides in partially saturated soils. Unlike other mechanisms of instability, where shearing strains concentrate in shear bands, unsaturated slopes exhibit mixed diffuse-shearing failure modes. The Lecture closes with a critical examination of the advances described and the prospects for improvements in predicting landslide mobility.